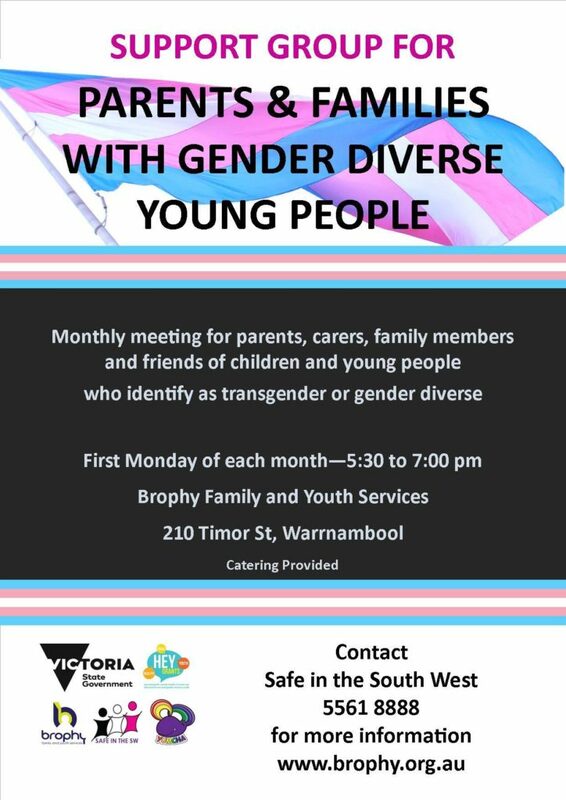 New support group starting up in Warrnambool for friends, family, and carers of gender diverse young people and gender diverse youth. Starting Nov 7, 5:30. 210 Timor St., Warrnambool. Anyone in the South West Victoria region is welcome to attend. More info and contact information in the picture.